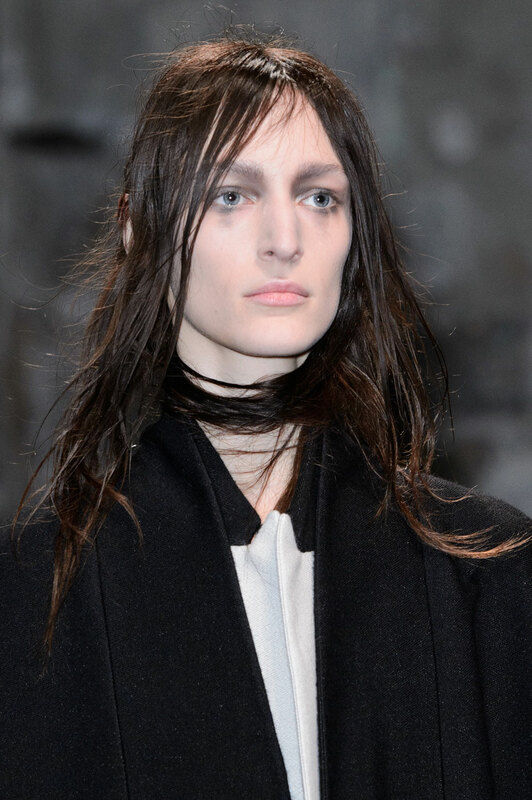 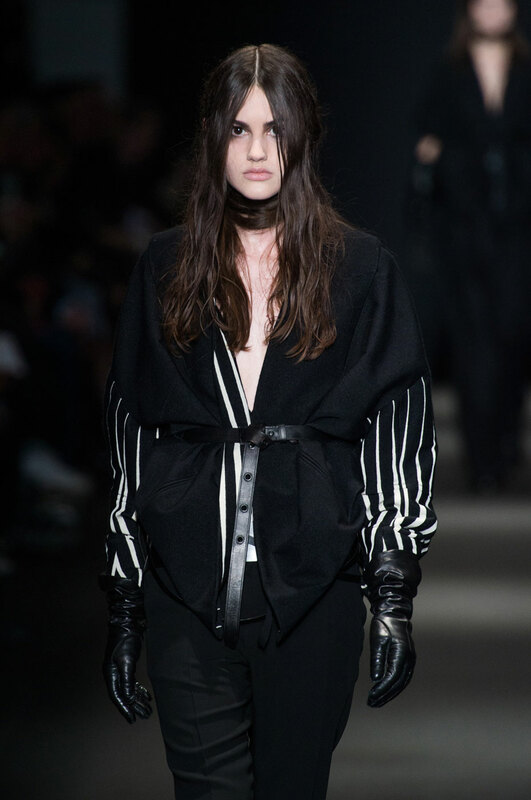 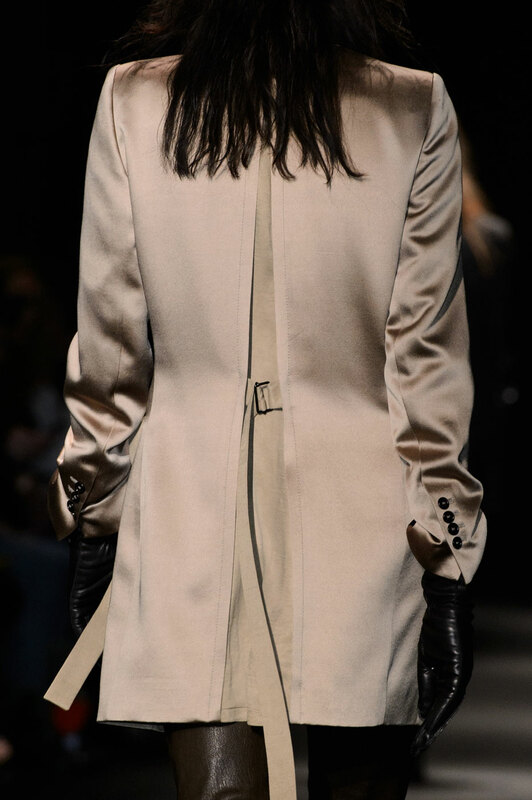 Ann Demeulemeester Women Autumn-Winter 2015 – The Ann Demeulemeester show was a sombre affair, as it seems creative director Sebastian Meunier has fully grasped the Demeulemeester house codes. 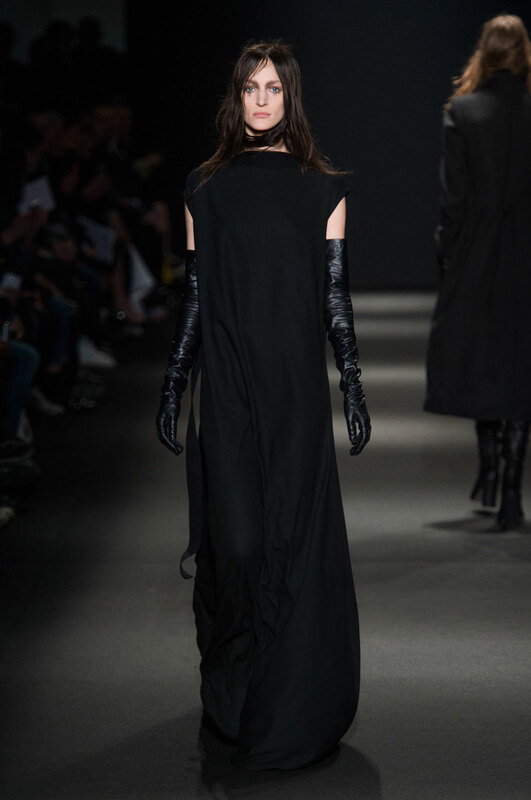 The collection had all the poeticism and romanticism style that marks the house. 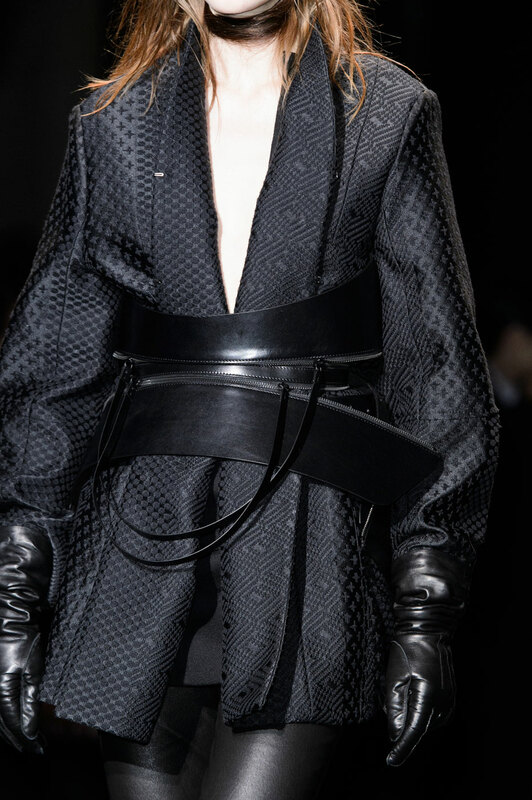 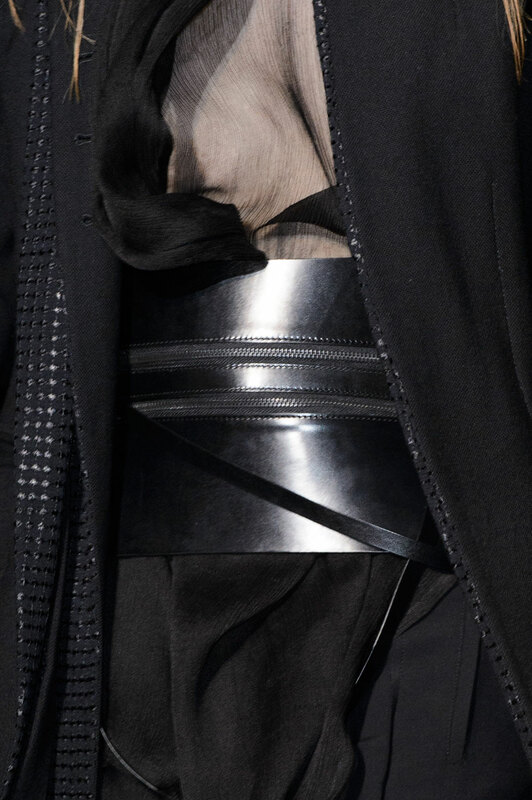 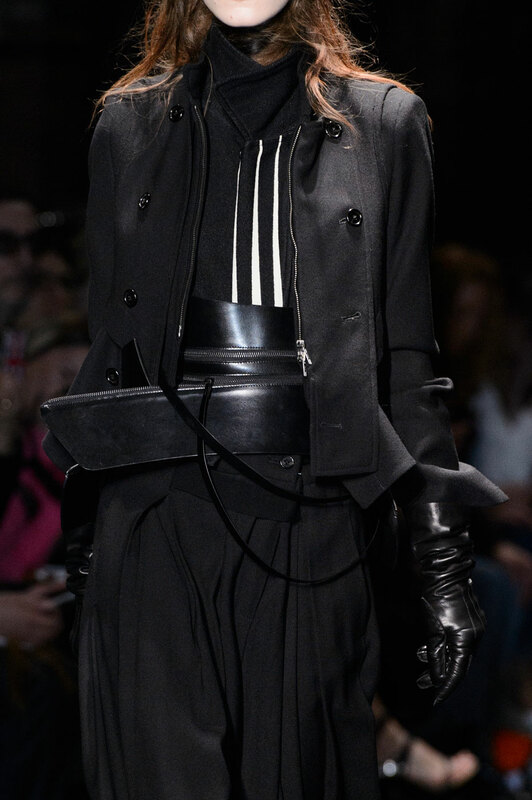 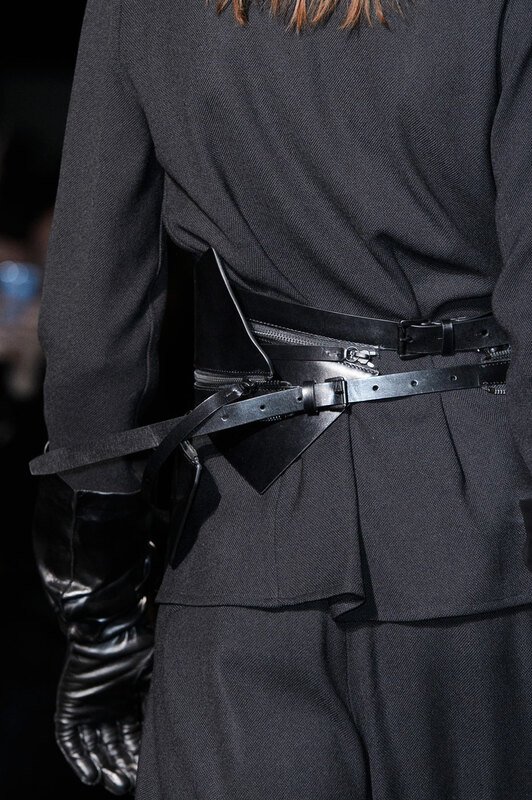 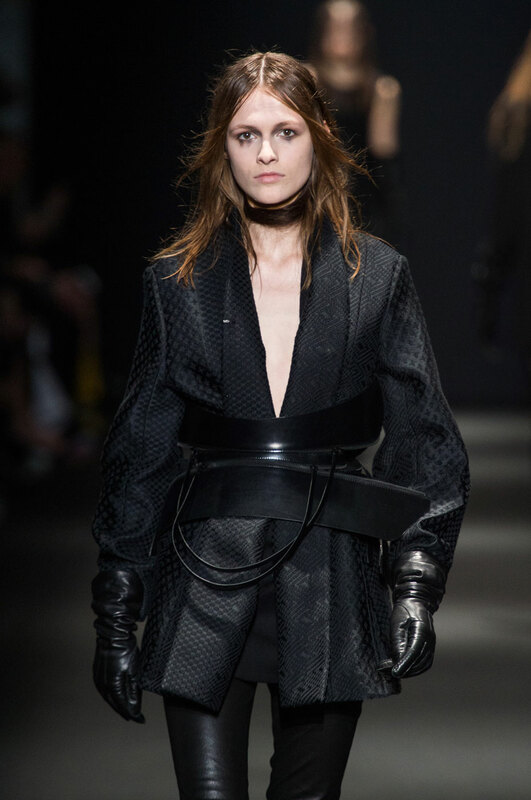 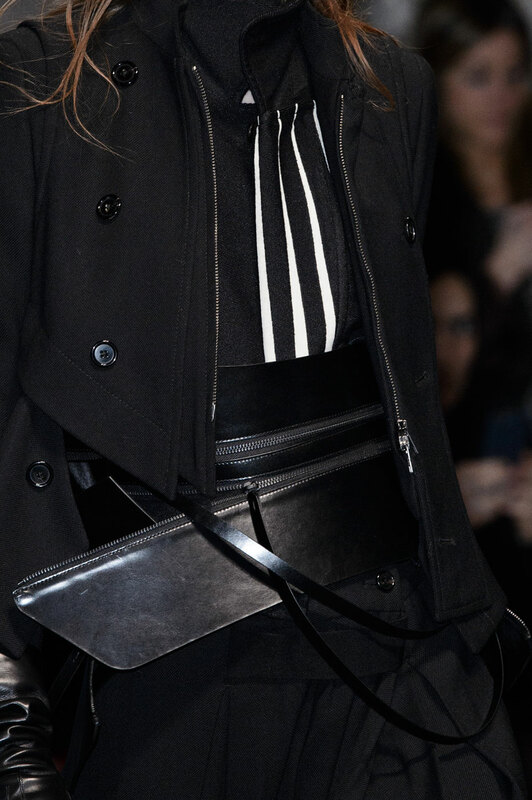 It comprised largely of monastic-looking floor-length tunics and zippered leather corset belts restraining voluminous tailoring, creating Japanese inspired shapes giving off a samurai/pirate feel. 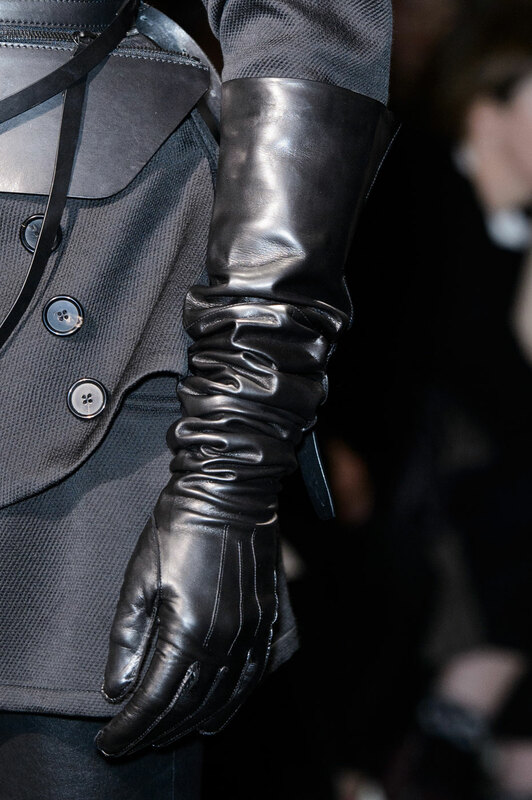 There was a continual use of leather from trousers to elbow length gloves, adding a sense of elegance and toughness. 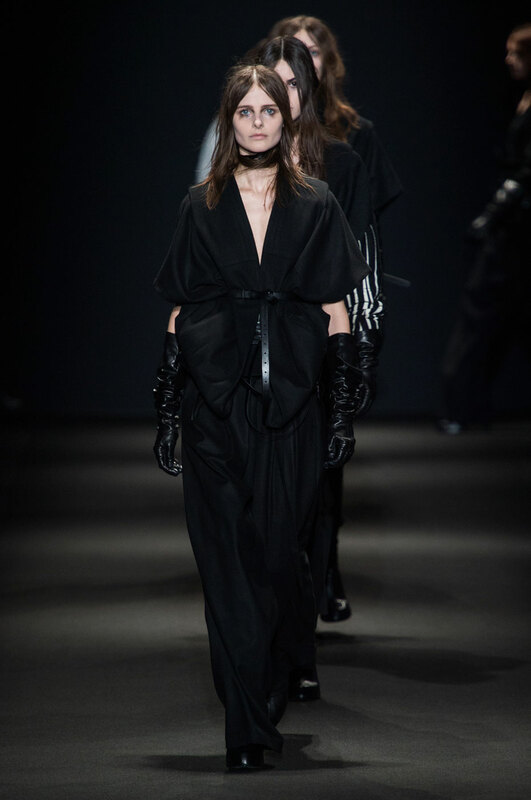 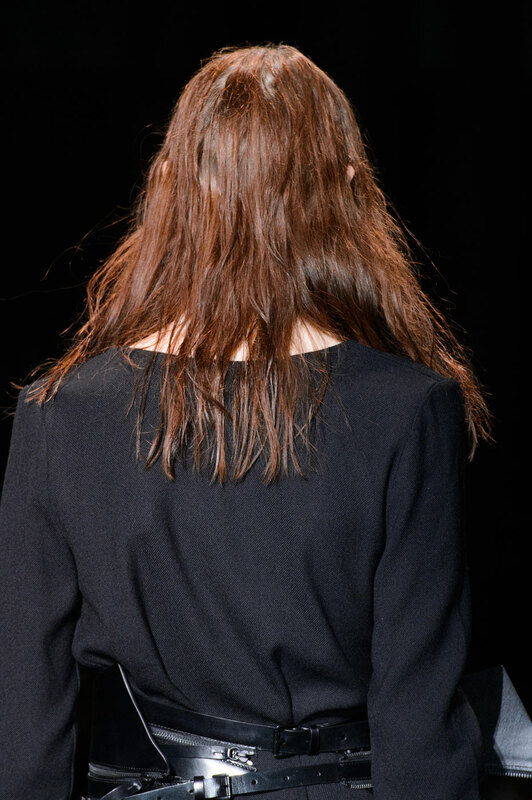 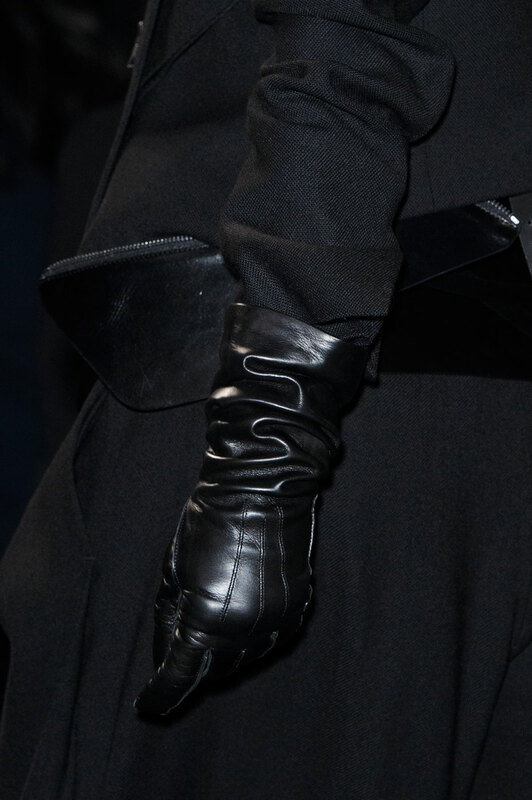 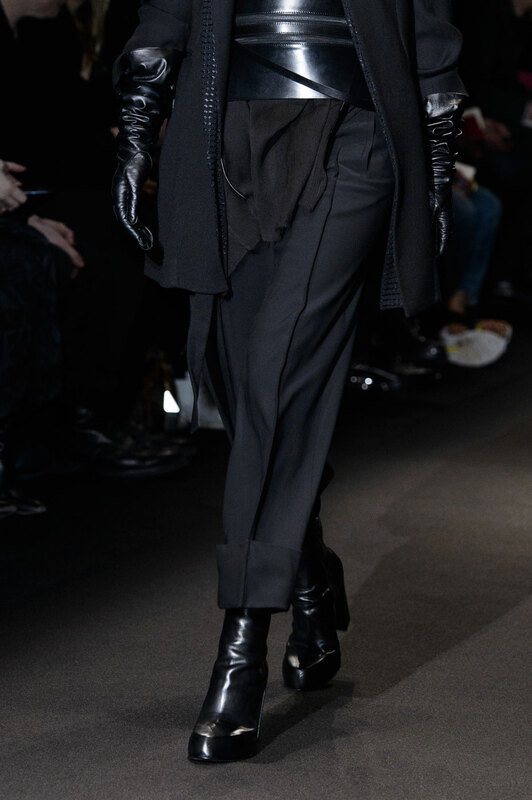 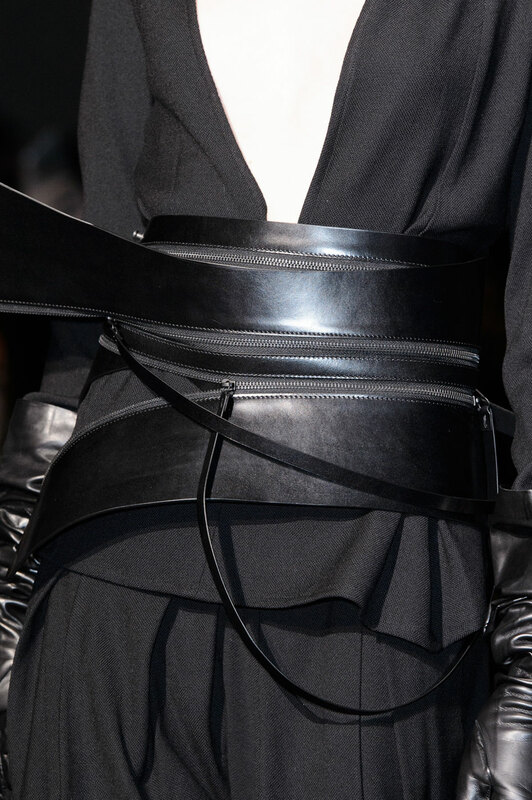 Chic elongated black gowns, wide pants and a calf length jacket gave off movement (a trait Demeulemeester herself had honed) suggesting sensuality. 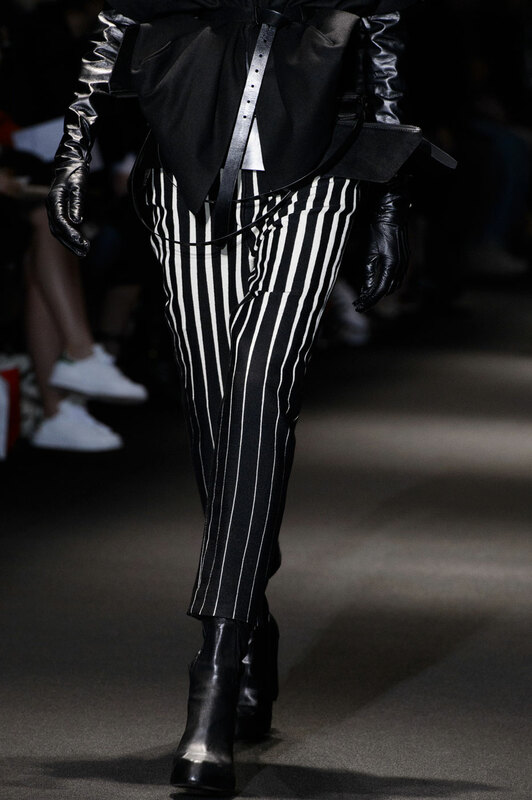 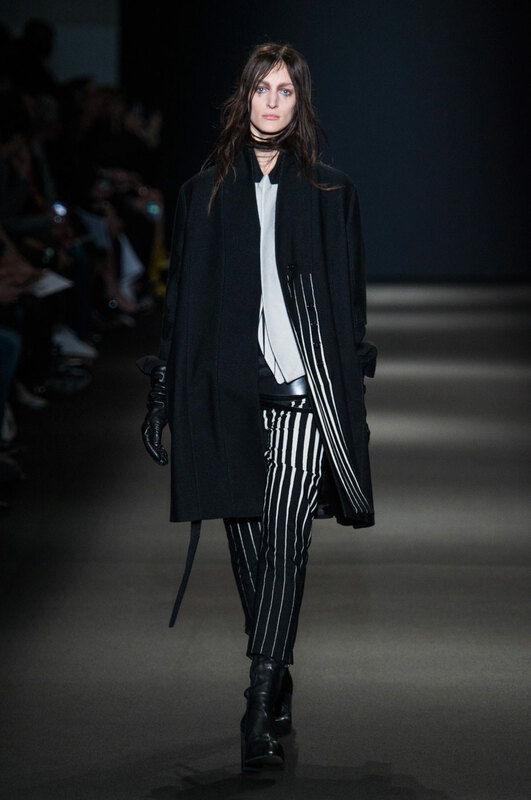 The collection was almost unanimously black but for some reworked pinstripe; white manly stripes that looked like they had been created by some well-aimed slashes of claws. 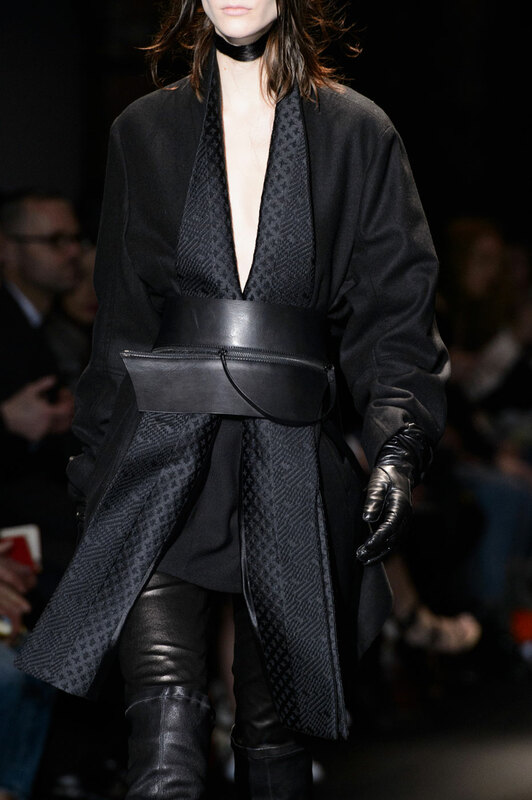 Then there was a pop of colour half way through the collection. 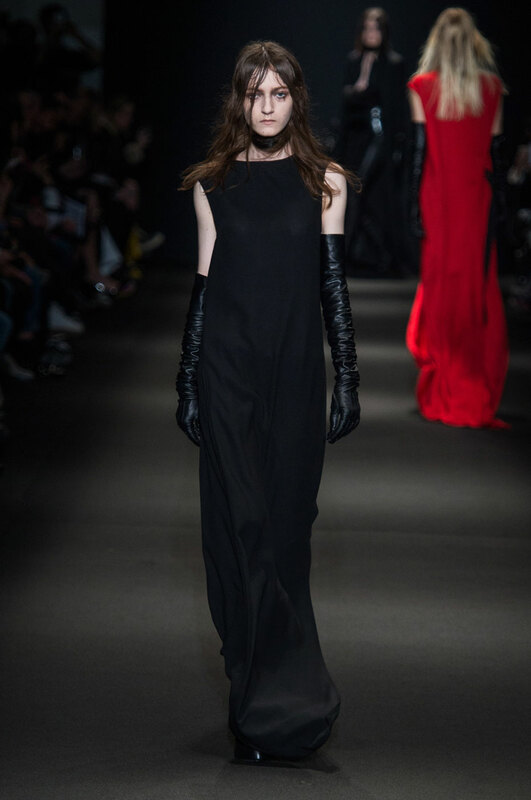 A bright red silk dress, which rippled waves as it moved amidst an army of monochromes, like a burning fire in the darkness. 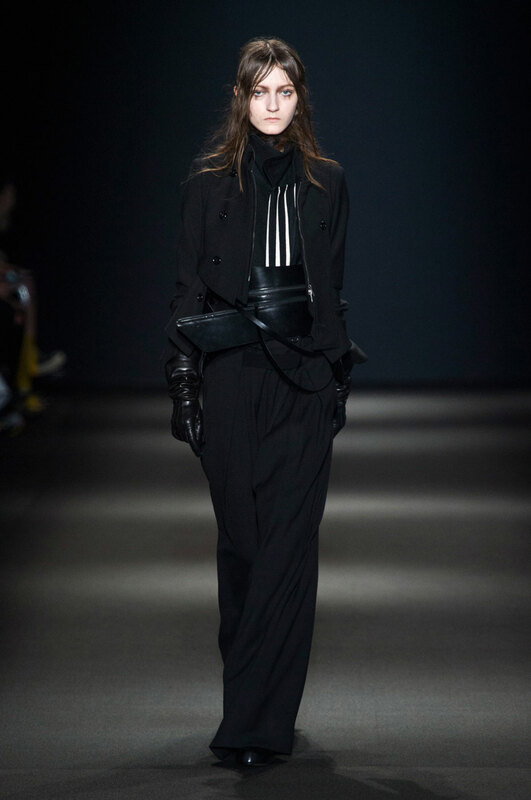 Make up was kept simple with black shadow lightly swept over the sockets adding drama to the looks. 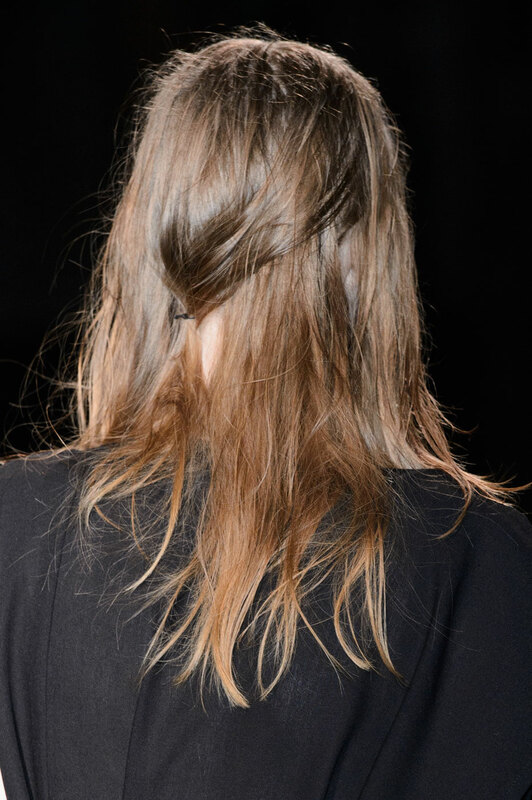 Hair was slightly dampened and stringy adding dimension and depth. 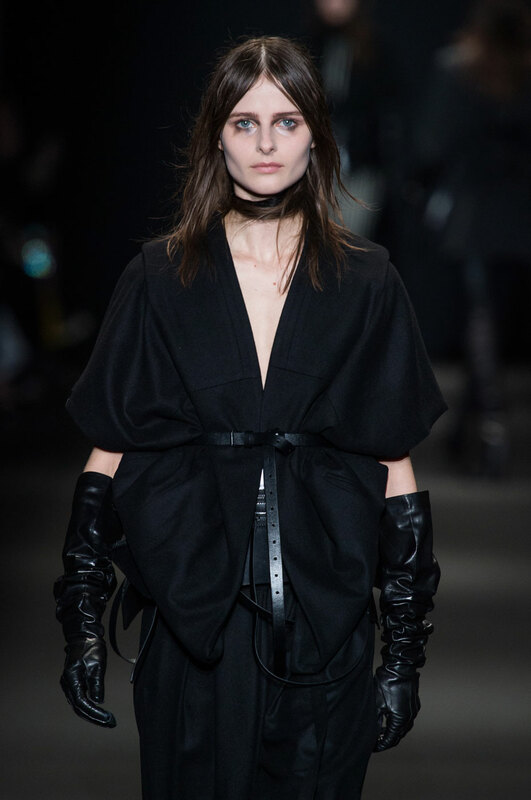 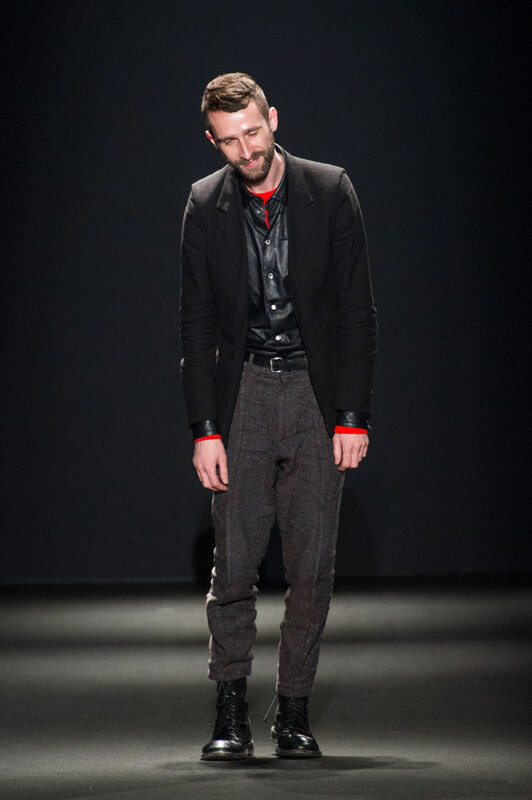 The collection was sombre, bleak and tough and profoundly elegant, it was a credit to the skill of Sebastien Meunier, to create a collection that translates the sensibilities of the house so successfully into the present and proving black is the new black.